Back in July, Funko released their adorable collection of "POP!" 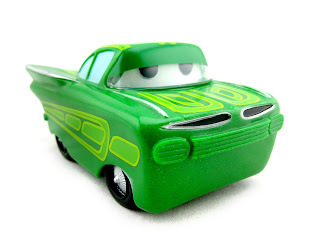 vinyl characters from Disney·Pixar's Cars (see post HERE). 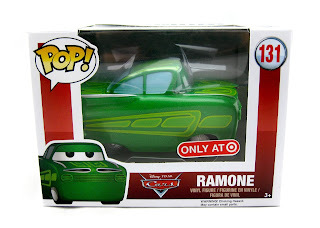 Well, that line continues today with the brand new Target exclusive green Ramone! This has just started showing up in stores over the past couple weeks. Since this is considered a Ramone "variant" (just a straight repaint of the standard purple Funko "POP!" 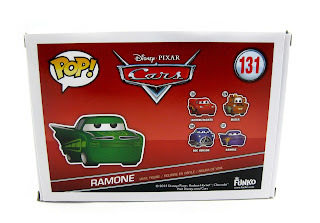 Ramone), it's still #131 in the Disney "POP!" Funko line. Even though it uses the same sculpt as the original, this was a must have for me. I'm a sucker for limited/exclusive items in general. How cool is this though? 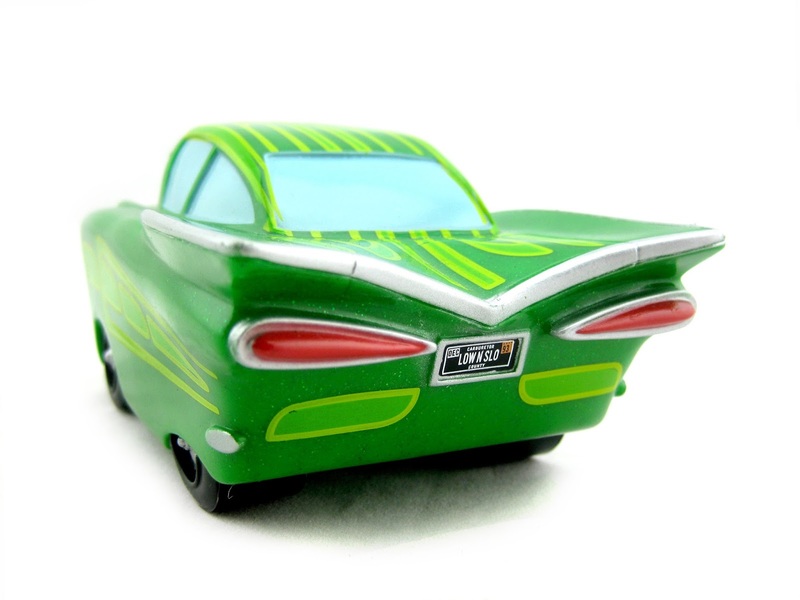 Like the other cars in this collection, this one has a great design, vibrant colors and some nice little details (love the glitter/sparkly paint job). If you're any kind of Pixar Cars fan and/or collector, than this is for you. What's so cool about the Funko "POP!" products is that they're simple enough that a baby could enjoy them, yet sophisticated enough for adult collectors to display- so whatever your age, you'll appreciate this! The exclusive nature of this one makes it extra cool as well. 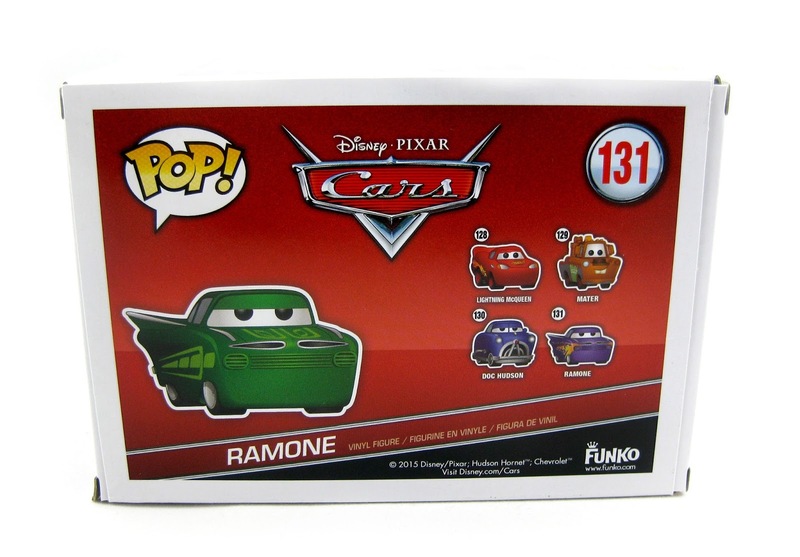 Additionally, be sure to check out the two other exclusive variants released earlier this year: Dinoco Lightning Mcqueen (SDCC 2015 exclusive) and "Brand New Mater" (NYCC 2015 exclusive). If you're interested in picking this up for your collection, definitely check your local Target for availability. I found this one in the store's Funko (not the Cars) section. Or if it's easier for you to just to snag online, check out this direct link to current eBay listings. Thanks for dropping by! Please let me know if you have any questions or comments.